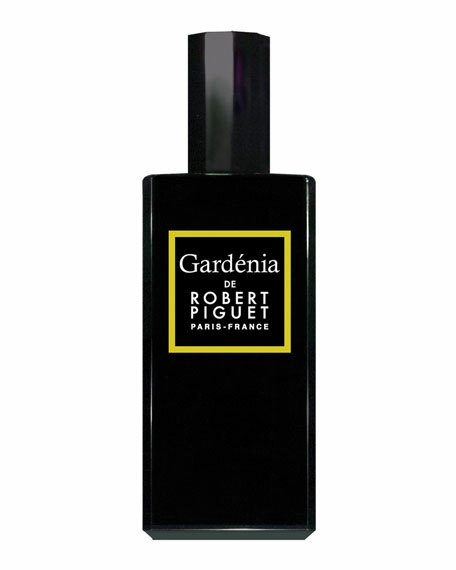 Robert Piguet Gardénia de Robert Piguet, 3.4 oz. Robert PiguetGardénia de Robert Piguet, 3.4 oz. Soft, flowery Ylang Ylang embraces the sweet and bold fleur de lis for a bold, sparkling beginning. The sensuous white gardenia scintillates the heart as it grows richer and more complex with black leather, Madagascar Vanilla, and cashmeran warming to a sultry base.